PADDLE4PEOPLE: HATS OFF TO MORGAN BLITTNER & JUAN PAVAN/TKS MIAMI, JIMMY LEWIS and A LOCAL MOVEMENT!! 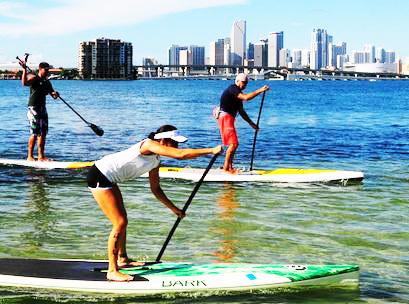 One of our original and longstanding advertisers, Morgan, shop owner at http://tksmiami.com, have teamed up with Vokent to create the Paddle 4 People events that started in 2010. 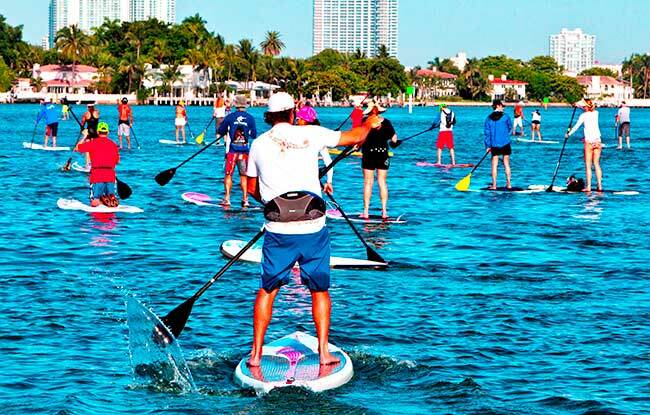 Hosted by The Standard Hotel in Miami and co-organized by Jimmy Lewis (www.fuacatasports.com), Paddle 4 People has become the go-to event of the year in Miami. Every year P4P raises over $10k for the charity it supports and is a 100% not-for-profit race. In 2010 Paddle 4 People supported Camillus House, in 2011 Charity: Water foundation and saw 100 & 150 people attending respectively. The actual race was divided into a 3-mile recreational race and a 5-mile elite race for the first two years. This year’s race was upgraded into a 4-mile recreational course and a 7-mile elite course inside Biscayne bay and welcomed over 180 people to support the charity Adopt Together cause. The weather in Miami provided a perfect setting for the event with sunny, cloudless skies throughout the day. A BBQ was held along with a raffle and Awards ceremony where hand-made wooden trophies exalted the racers feats of endurance. Next articlePADDLE 4 CANCER Portland Sept 1!